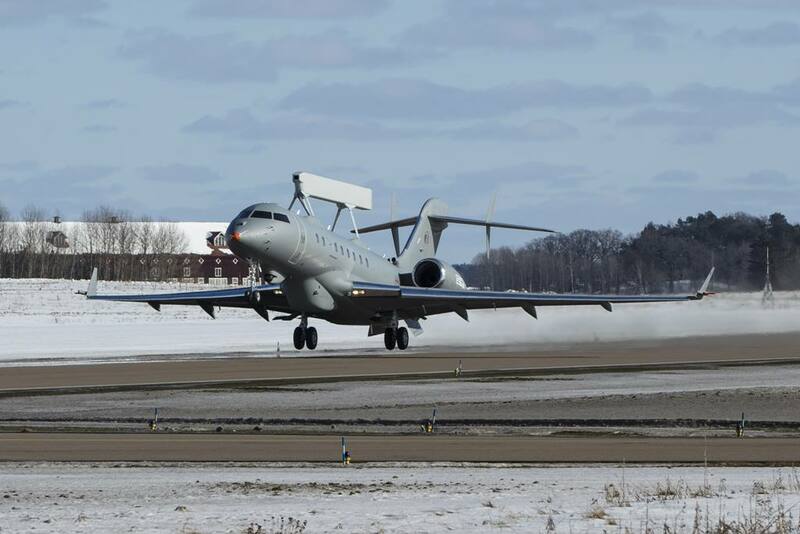 Saab successfully completed the first flight of the GlobalEye Airborne Early Warning & Control aircraft in Linköping, Sweden. Saab GlobalEye successfully completed the first flight. GlobalEye took off on its maiden flight at 12.52 local time on 14 March 2018, from Saab’s airfield in Linköping, Sweden. 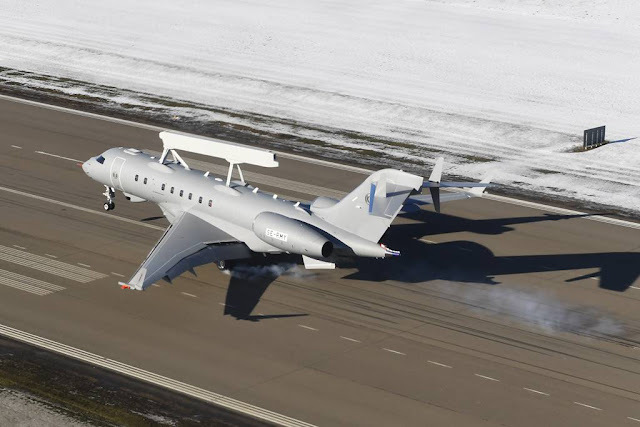 The aircraft, a modified Bombardier Global 6000 jet platform, undertook a 1 hour 46 minutes test flight collecting extensive flight-test data using the on-board instrumentation suite. This data is then used to verify the aircraft performance and associated modelling. The first flight was preceded by a series of ground trials including high and low speed taxiing tests. “The first flight is the second major milestone for the GlobalEye programme within a very short space of time. Yet again we have demonstrated that we are delivering on our commitments and that we are on track with our production of the world’s most advanced swing-role surveillance system,” said Anders Carp, Senior Vice President and head of Saab’s business area Surveillance. “Today’s flight went as planned, with the performance level matching our high expectations. The aircraft’s smooth handling was just as predicted and a real pleasure for me to fly,” said Magnus Fredriksson, Saab Experimental Test Pilot. 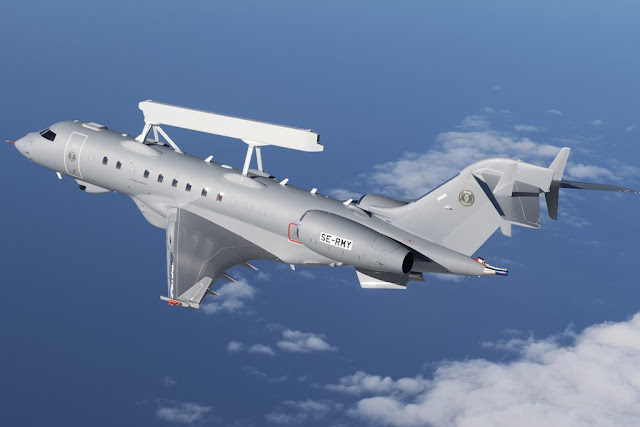 The maiden flight took place three weeks after Saab revealed the GlobalEye aircraft to the media for the first time on 23 February 2018 (More details here). GlobalEye combines air, maritime and ground surveillance in one swing-role solution. GlobalEye carries a full suite of sophisticated sensors including the powerful new extended range radar (Erieye ER), integrated with the ultra-long range Global 6000 aircraft, known for its versatility and smooth flight characteristics. The GlobalEye launch customer is the United Arab Emirates Armed Forces, where it is known as the Swing Role Surveillance System (SRSS). The initial order was placed in November 2015. GlobalEye brings extended detection range, endurance and the ability to perform multiple roles, including tasks such as search and rescue, border surveillance and military operations.